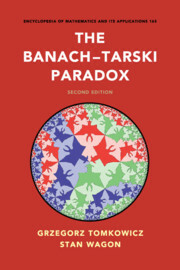 This series is devoted to significant topics or themes that have wide application in mathematics or mathematical science and for which a detailed development of the abstract theory is less important than a thorough and concrete exploration of the implications and applications. Books in The Encyclopedia of Mathematics and Its Applications cover their subject comprehensively. Less important results may be summarized as exercises at the ends of chapters. For technicalities, readers can be referred to the bibliography, which is expected to be comprehensive. As a result, volumes are encyclopedic references or manageable guides to major subjects.